(c)if so, the details thereof? 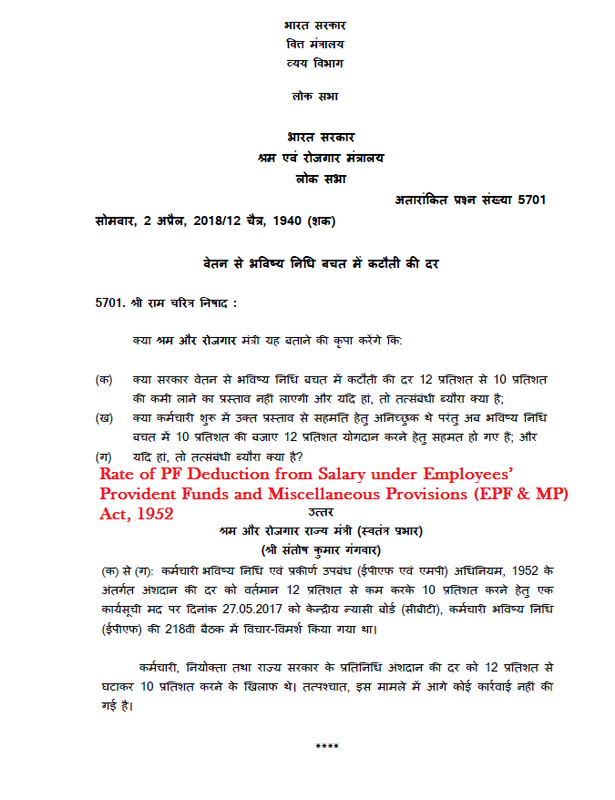 (a) to (c): An agenda item for lowering the rate of contribution under Employees’ Provident Funds and Miscellaneous Provisions (EPF & MP) Act, 1952 from the present 12 per cent to 10 per cent was deliberated in the 218th meeting of the Central Board of Trustees (CBT), Employees’ Provident Fund (EPF) held on 27.05.2017. 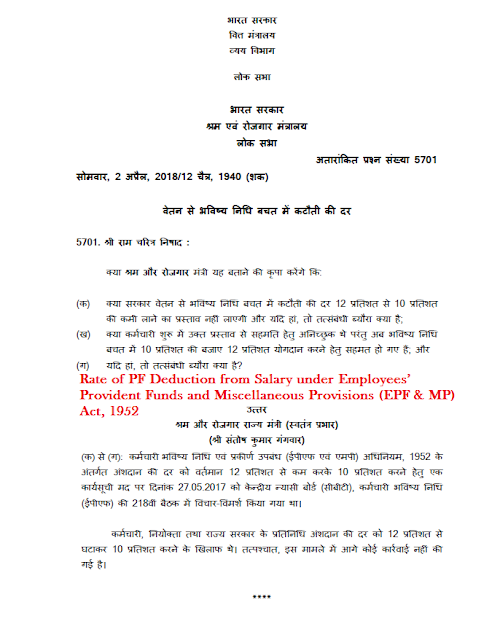 The employees’, employers’ and State Government representatives were against reducing the rate of contribution from 12 per cent to 10 per cent. Thereafter, no further action has been taken in the matter.